How Can Acupuncture Help Alleviate Excessive Sweating? Excessive sweating, or hyperhidrosis, poses a severe challenge to one’s health. In this medical condition, a patient suffers from a higher rate of perspiration than needed to keep the body cool. It can be very embarrassing for those who suffer from excess sweating and many look for ways that might be able to help them deal which such a problem. Excessive sweating can be cured through traditional Chinese medicine. Although the western medicine industry has developed certain drugs and invasive procedures to cure excessive sweating, the side effects can be quite risky. The excessive production of perspiration from the sweat glands is termed as hyperhidrosis. The amount that is produced is more than what our body needs to cool down and maintain the core temperature. Often, physicians link excessive sweating with changes in temperature and the emotional and physical condition of a person. An individual dealing with this problem can suffer from sweaty palms, feet, underarms or even the entire body. The use of drugs and invasive procedures to treat excessive sweating can affect the physiological condition of a patient with its many side effects. Acupuncture, on the other hand, is the best alternative medicine procedure that can provide a safer way to fight excessive sweating. A licensed acupuncturist will survey the patient by asking a few questions in order to identify the problems and make a proper diagnosis. The interview will contain questions regarding how much and where you perspire. Acupuncturists will ask about the particular conditions where you perspire the most. They will also ask about your lifestyle choices such as work, diet, physical exercise, etc. After proper examination, the acupuncturist will find the actual cause behind your excessive sweating and treat the individual accordingly. 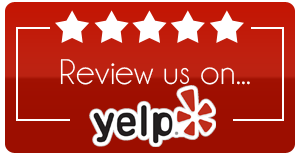 Why seek a renowned and professional acupuncturist? To cure excessive sweating, it is wise to choose the right acupuncturist. Only a certified and experienced professional can formulate the right procedure for an individual. Here is why an acupuncture session from an experienced acupuncturist is ideal. Proper knowledge of human physiology: A certified acupuncturist will have a deep understanding of the human physiology. The delicate procedure will need knowledge of the points in a person’s body to use techniques and treat patients properly. Since each person responds to acupuncture differently, your acupuncturist will look at your tongue and pulse, and then form a group of acupuncture points or herbs to help treat you the best. Experience that matters: The Only certification will not be enough to provide the right treatment. The experience of the acupuncturist will lead to an accurate detection of the underlying cause. The expertise of the acupuncturist will allow them to determine the root cause of the excessive sweating and design customized protocol. 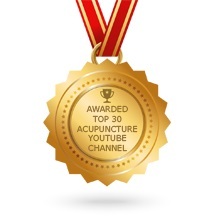 Track record: The successful track record of an acupuncture clinic in this aspect is also a reason to visit and seek professional advice from the registered practitioners.